What more could a little quail ask for? A triple room residence with room to move, plenty of sunshine, and a place safe from harm. 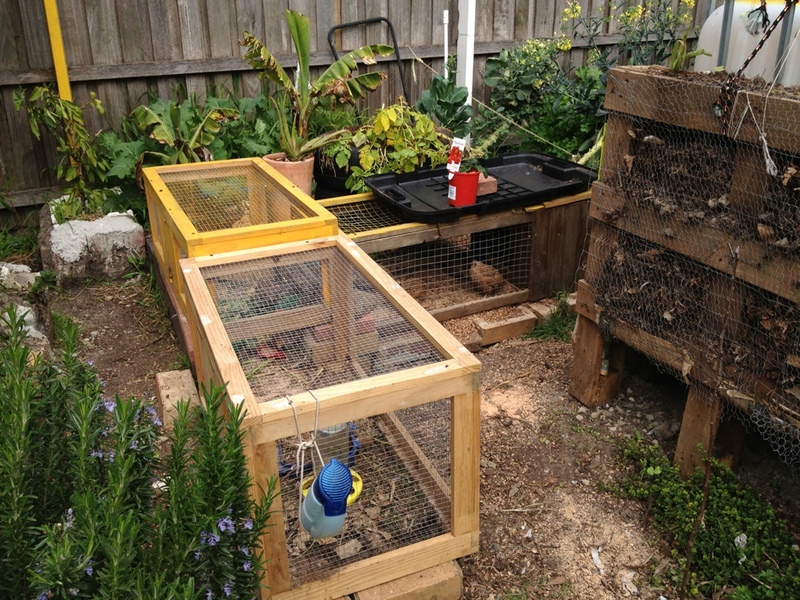 Tags: housing, hutch, Japanese Quail, Quail. Bookmark the permalink. How big are quail eggs? & how many quail eggs do you use per each chook egg when substituting in a recipe? Hi Amber. A quail egg is around 13 grams in weight and the normal ratio for substituting with a chook egg is 5 to 1. Thank you. Do you have any chickens or quail out your way? What is your favorite way to eat quail eggs? I’ve never had them. Hi there Shelley. The best part of the deal is that quail eggs taste almost the same as normal chicken eggs. They taste the same and are a bit creamier, which is great for an omelette or a cake. Shane, what happens in the winter? I just put a plastic cover over one of the hutches and they go undercover when it rains or gets too cold. Here in Melbourne it doesn’t get to below zero hardly ever and quail can handle that temperature no problem.